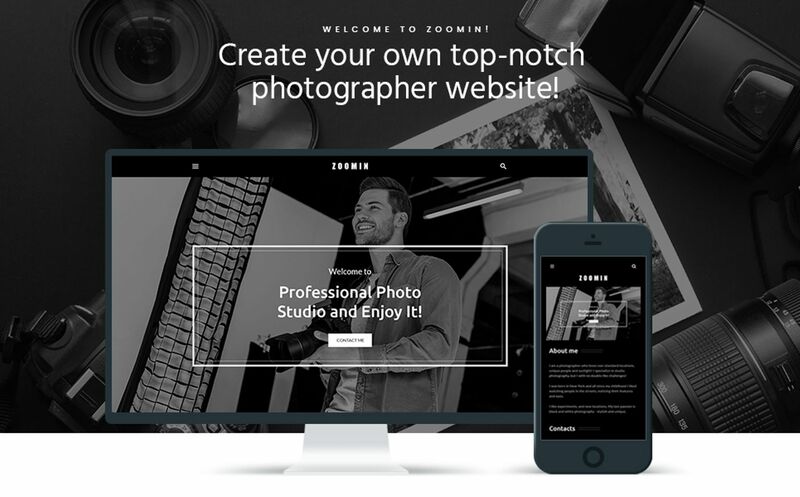 Zoomin is a responsive and ready for deployment Photographer Portfolio WordPress theme, suitable for creating a commercial, non-profit, freelancer or general photographer website. 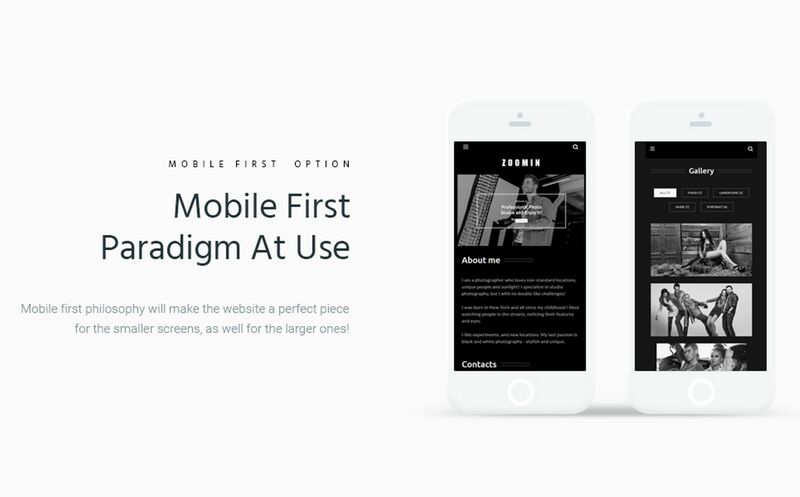 This theme is built using Bootstrap technology and is well coded. Itâ€™s easy to create and customize. You can change the layouts, styles and colors directly from the website admin panel. Zoomin also comes with a powerful set of tools that provides a convenient interface for creating custom pages. The theme includes many settings that will help you easily change the backgrounds, fonts, colors and logo of your site. In addition, Zoomin contains a functional page designer. 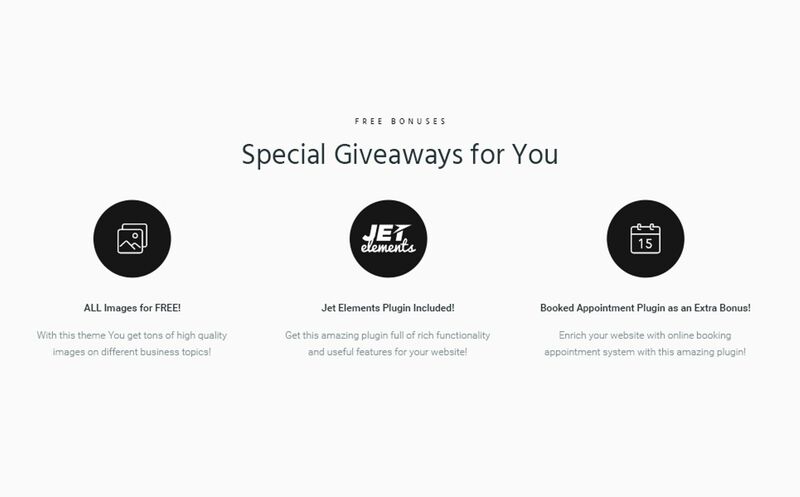 This versatile WordPress theme also supports useful plugins, such as WooCommerce. 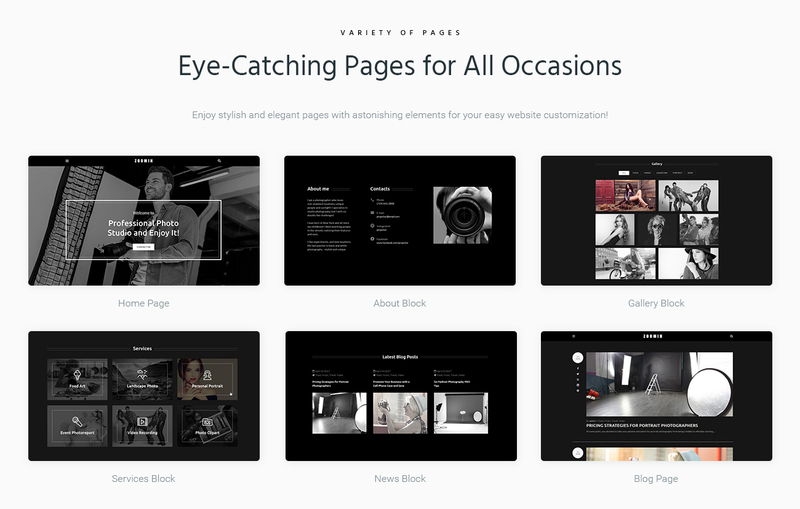 This is a feature allowing you presenting your works in a distinct area. An artistic creation, built to show the overall experience of a specialist, to demonstrate his competence. Artists, designers, and service providers need portfolio functionality to present their works and appeal to potential clients. 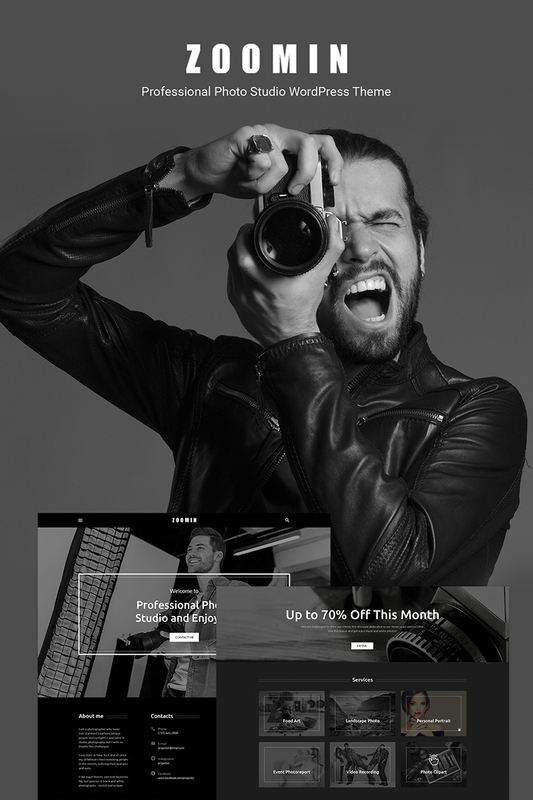 What is a one time usage license for a Photography Studio WordPress template? When you buy the Photography Studio WordPress template at usual price you automatically get the one time usage license. It enables you to use each individual product on a single website only, belonging to either you or your client. You have to purchase the same template again if you plan to use the same design in connection with another or other projects. When passing files to your client please delete the template files from your computer. Will the Photography Classes WP template be deleted from TemplateMonster database? No, the Photography Classes WP template will not be deleted from TemplateMonster database. What is a unique purchase license for WordPress theme for Photography News ? If you purchase the product at a â€˜Unique price' it guarantees that you are the first and the last person to buy this WordPress theme for Photography News from us. It means that this template has not been sold before and you become an owner of a unique design. After this kind of purchase the template is being permanently removed from our sales directory and is never available to other customers again. The unique purchase license allows you to develop the unlimited number of projects based on this template, but the template should be customized differently for every project. What are the advantages of purchasing a WP theme for Photography Articles? The major advantage of purchasing a WP theme for Photography Articles is price: You get a high quality design for just $20-$70. You don't have to hire a web designer or web design studio. Second advantage is time frame: It usually takes 5-15 days for a good designer to produce a web page of such quality. Will TemplateMonster help me to edit my WP theme for Digital Photographer? TemplateMonster offers you a variety of sources to help you with your WP theme for Digital Photographer. Use our comprehensive Online Help Center to get the basic knowledge about your WP theme for Digital Photographer. Our Knowledgebase contains customers questions and most frequent problems. Anyway, you can always use TemplateMonster 24/7 phone support, try our Ticket System or Live Support Chat to get qualified assistance from our support representatives. I like the image from the Photography Studio WordPress template and would like to use it for my advertising campaign, can you send me this image in a higher resolution? No, we can't provide image in higher size or resolution rather than it is on the Photography Studio WordPress template. We recommend looking for professional images on online photo resources. What is the difference between unique and non-unique Portrait Studio WordPress design purchase? Non-unique purchase:Non-exclusive purchase means that other people can buy the Portrait Studio WordPress design you have chosen some time later.Unique purchase:Exclusive purchase guarantees that you are the last person to buy this template. After an exclusive purchase occurs the template is being permanently removed from the sales directory and will never be available to other customers again. Only you and people who bought the template before you will own it. Is there any return policy for Design Blog WordPress designs? Requests for a refund are accepted at www.template-help.com/tickets within the period of 2 weeks after the order of WP theme for Design Magazine is placed. You should accompany this request with detailed and grounded reasons why you apply for a refund. Please make sure your request does not contradict the terms and conditions specified in the policy. A refund is issued to you upon receipt of a Waiver of Copyright signed by you. Are there any limitations on selling the WP template for Photography Blog as the integral part of my new product? Is it reasonable to make unique purchase of WP template for Web Photo Gallery that was already purchased before? Yes, it's reasonable to make a unique purchase of WP template for Web Photo Gallery. Because there is very small chance that you will find the same design on the net. There are more than 3,000,000,000 webpages online now according to statistics on www.google.com. Is it possible that Template Monster will contact my client which website I made from Template Monster's website Photography WordPress template? Yes, our legal department checks licenses regularly. In case we won't find designer's contact information on the site which was made from the Photography WordPress template of ours we will contact the owner of the site directly. Can I contact the WordPress design for Photo Album author? Yes. You can contact this WordPress design for Photo Album author/author's team directly using your personal account under the Support tab. Can I customize the Photo Classes WP template if that's required by application settings? Yes, you can customize the Photo Classes WP template code, graphics, fonts to any extent needed. How many applications, programs etc can I use to integrate with the Photo Editing Services WordPress designs under one extended license? The extended license gives you the right to use the purchased Photo Editing Services WordPress designs for the integration with one software/freeware/application/CMS/sitebuilder only. In case you would like to use the template with the other application, the other license is to be acquired. Is it possible to reactivate my download link for WP theme for Baby Photo Studio if it was deactivated after 3 days? Yes. Please re-activate the download link for WP theme for Baby Photo Studio within your account under the Downloads tab or contact our billing department directly regarding that. 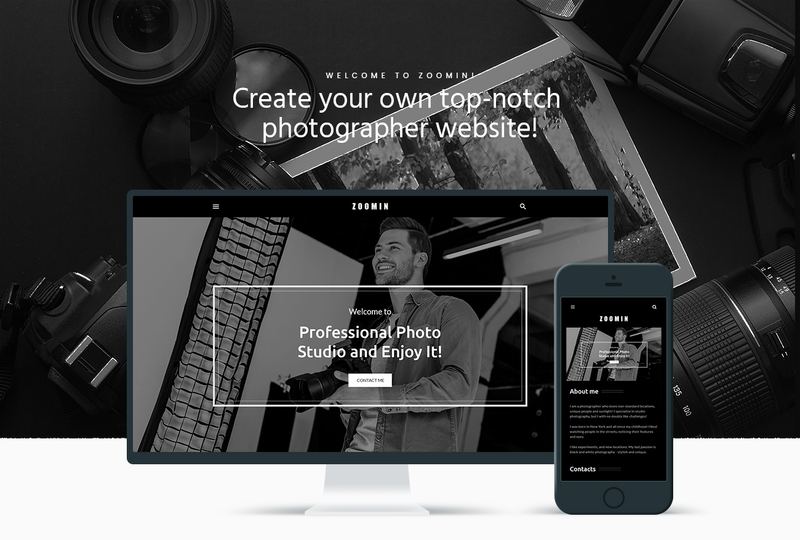 Can I resell the customized Photo Studio WordPress theme? No, you cannot resell the customized Photo Studio WordPress theme as a template but you may sell it as a project to your client (see paragraph 1 ONE TIME USAGE LICENSE for more details). What will I see instead of the images after installation of the WordPress design theme for Photo Printing Services? After WordPress design theme for Photo Printing Services installation you will see blurred images included for demo purposes only. 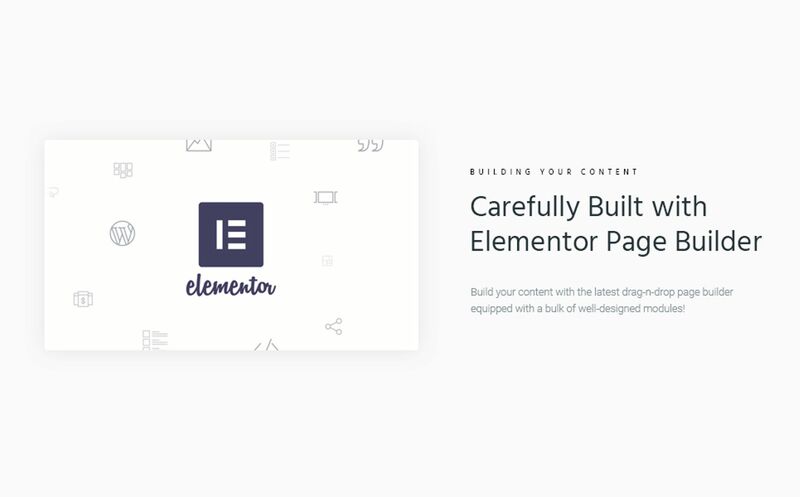 Will TemplateMonster help me to install my WP template for Design? Some of our products like osCommerce templates, Zen Cart templates, etc. require installation to operate. Installation services are not included in the package price. TemplateMonster though offers you a variety of sources to help you with installation of your WP template for Design including installation instructions, some articles with our Online Help Center. Our Knowledgebase contains customers questions and most frequent problems. Anyway, you can always refer to our partners from TemplateTuning.com to install your WP template for Design for you for a small fee. Can I resell the WordPress designs for Photo Lab I bought the extended license for? No, you cannot resell the WordPress designs for Photo Lab as is. You can only sell them as the integral part of your new product. Can I get the WordPress design for Professional Photographer Portfolio in higher resolution to use for printing? No, we design WP themes for Photography Video Tutorials optimized for web resolution only. What is the price for acquiring the extended license for Photography Classes WP template? There is no set price for acquiring the extended license. The price is based on the Photography Classes WP template's unique price for those templates you would like to use for the integration. The price for purchasing license for a single template is half of the template unique price. Can I apply a discount code to a discounted Photo Classes WP template or combine several discount codes together to get better price? What is GNU GPL v3.0 license and can I use it with WP theme for Design Portfolio? If you buy a WP theme for Design Portfolio released under GNU General Public License v3.0, you can use it on any number of projects belonging to either you or your clients without any limitations. This license allows you to modify the template and its sources to suit your needs. Can I use graphics from WP theme for Online Photo Gallery I purchased for use in printing? Yes, it's not prohibited to use the WP theme for Online Photo Gallery graphics for printed material, but the resolution of the templates graphics ( except for logo templates) is not enough for printing.